THE B-MOVIE NEWS VAULT: Grab your wooden stakes and Tommy guns! BLOODRUNNERS comes to Blu-ray and digital HD on March 7th! Grab your wooden stakes and Tommy guns! 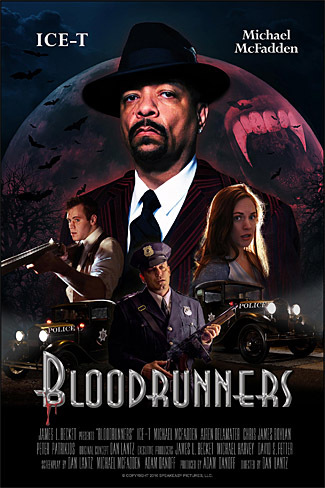 BLOODRUNNERS comes to Blu-ray and digital HD on March 7th! 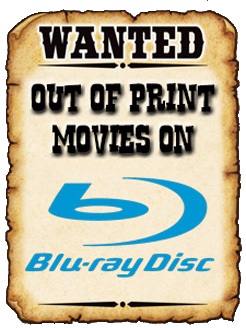 DAN LANTZ'S PROHIBITION ERA HORROR TALE, "BLOODRUNNERS," COMES TO BLU-RAY/DVD COMBO PACK AND DIGITAL HD ON MARCH 7TH! I've had the pleasure of watching and reviewing BLOODRUNNERS already (read my thoughts on it HERE), and I really enjoyed it! It's a well-made period piece with a fantastic cast, and a cool premise! Definitely check it out once it's released this coming Tuesday! Synopsis: It's 1933 and Prohibition has proven very profitable for corrupt cops like Jack Malone (Michael McFadden). He collects a 'luxury tax' from every bootlegger and scofflaw in town. Shaking down Chesterfield's, the newly opened speakeasy, should've been simple. But instead, Jack and his men uncover a clan of vampires that are hellbent on taking over the town! With nowhere else to turn, Jack joins forces with a busboy, and a crazy preacher to save the town and make a final stand against Chesterfield (Ice-T) and his vampires. Audio Commentary with director/writer, Dan Lantz, and actor/writer Michael McFadden. BLOODRUNNERS will be available on Tuesday, March 7th! Support this film by ordering it exclusively from its OFFICIAL ONLINE STORE! You can get the Blu-ray/DVD combo pack for a mere $14.95, or obtain a digital copy at ITUNES or GOOGLE PLAY for $12.99!